Content as a marketing strategy is reliable and cost-effective, but only if it generates high-quality leads. To succeed, you must not only create and promote content, but also analyze and optimize the content. If your content marketing results are falling flat, here are 7 reasons why it might be happening and what you can do about it. If you do not understand how many people access your content, where your content is shared, or the new contacts it generates, chances are your marketing efforts are not nearly as effective as they could be. A piece of content that gets a lot of traffic but few leads likely has some value in brand awareness– it might hit the target when it comes to exploring an idea but isn’t as compelling as it could be. On the other hand, a piece of content that gets little engagement and few leads likely indicates a lack of relevancy or visibility. Measure indicators on a monthly or quarterly basis, and then use the results to focus your efforts accordingly. Ultimately, you want to know how many leads a piece of content is generating and how that content translates into customers. If you’re unsure about what to measure, check out our eBook, “Measuring Digital ROI”. If you do not use the language your ideal customers use to ask questions or describe problems, then chances are your content is not providing the right answers to your target audience. Content marketing goes hand-in-hand with SEO. You can create content all day long, but you cannot expect results until you target the keywords and phrases your preferred customers are most likely to use when looking for the solution you provide. To get started with keyword research, use what you know about your business and industry to identify relevant topics. For each topic, brainstorm a list of potential keywords, and then optimize your content for a relevant keyword. How do you determine what is relevant? Use a keyword research tool to gain an understanding of search volume and traffic estimates. HubSpot customers can use the keyword tool built into the marketing software. Google also has a free keyword planner available. 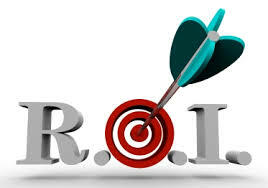 A blog alone is not enough to deliver ROI. Offers that engage users are needed to provide marketers the opportunity to capture contact information in exchange for valuable content. White papers, eBooks, templates, and the like go beyond the blog to engage users on a new level. Just as some people prefer to read the book while others prefer to watch the movie, people consume digital content via different mediums. Efforts to reach your target audience solely by the written word, no matter how eloquent, are less effective than offering content in different formats. Your content will be more effective when it caters to those who learn best through reading as well as to those who prefer audio or imagery. It is not necessary to create a unique piece of content for every platform. Rather, simply adapt a quality piece of content to different distribution channels. Is there a way you can condense your best-performing blog posts into a slide deck or infographic? Perhaps you can turn a series of blogs on the same topic into an eBook. Can you show who you are through a video instead of the standard “About Us” page full of text? By repackaging your content, you will to appeal to a broader audience. To use the tried-and-true cocktail party analogy, no one wants to engage in a conversation with a stranger when all that person does is talk about his self. We all have our story to tell; yet there is a time and place to tell it. When a potential customer learns of your business by searching for an answer to their question, they want the answer they came for before they entertain the solution you offer. Content that disrupts a user or looks more like a way to sell than a way to engage is less attractive to today’s plugged-in consumers. When content educates or is presented at a natural point in the conversation, people are more likely to see your company as a trusted advisor. Create content around the overall values or pillars of your company. For example, an industrial equipment manufacturer might create content educating people how to extend the life of their equipment in addition to how to select the best equipment to purchase. Educational content can still support your brand through complementary color schemes and appropriately places logos. We often compare content marketing success to the flywheel effect. It’s much more difficult to get something started than it is to keep it rolling. When you publish blogs or post on social intermittently, you bore search engines and confuse your audience. Content marketing is not something you can set and forget. An editorial calendar will help you in two ways: it will help you think of topics to create content around, and it will keep you accountable to a publishing schedule. First, develop your calendar with themes your audience cares about. For instance, the budgeting season for many companies gets underway mid-summer with budgets set by early fall. Is it relevant for your company to address the challenges of budgeting, either in a blog or a sales email? Next, choose a publishing frequency and stick to it. Keep in mind that it is better to under promise and over deliver. If you know you can only publish content one time per week but want to post three times per week, go with the former. How much you post is important, but consistency trumps frequency every time, and you can always publish more content as time permits. A piece of content without a call to action is like walking into a store where none of the merchandise is for sale. You invest time and effort into every piece of content you create, so once you have a reader, be sure to close the deal with a call-to-action that encourages your reader to take a next step. What is that next step? The answer is likely to vary with the piece of content. And remember, every piece of content you produce (hello, landing pages!) is a marketable asset. If you are interested in building a community around your brand, encourage dialogue by ending a blog post with a question and encouraging responses in the comments. Need more social reach? Make sure social sharing icons are included with the content you create. To generate leads, encourage visitors to exchange their contact information for a white paper or eBook. Publication, distribution, and promotion define the context of your content. It doesn’t make a lot of sense to email your award-winning case to existing customers. Likewise, it doesn’t make sense to run a print advertisement if your target audience spends its time in a digital forum. No matter how good your content, it will fall flat without context. Segment your email lists to send relevant content to contacts based on their lifecycle stage. Engage in conversations on social, but save the sales offers for calls-to-action. A few years ago, most of your visitors probably accessed your website or read your emails via their desktop or laptop computers. Now, it’s a good bet a good portion of that traffic comes from tablets and mobile phones. Is your website mobile-friendly? Have you replaced outdated “click here” language given mobile users tap with their fingers rather than click with a mouse? If you are uncertain what content creates the highest return-on-investment, you are most likely spending time and money creating content that does little – or at the very least could do more – to contribute towards reaching your online marketing goals. An immediate return-on-investment is rare and not without anxiety. However, when content does take hold, the benefits can be quite rewarding. But you’ll only know that when you measure.